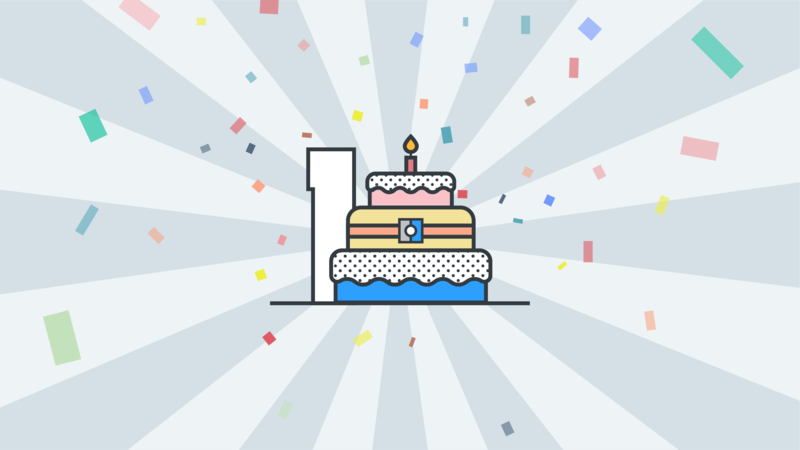 Yoti launched a year ago! So what's next? Yoti launched a year ago. And what a year it's been. From becoming Jersey’s official digital identity provider to trialling our biometric tech at Heathrow to help passengers fly through the check-in process, we’ve hit major milestones and accomplished a lot in the last 12 months. We’ve teamed up with ePOS leader NCR to make proving age at self checkouts a faster, more streamlined experience. Our partnership with Electroneum has seen them perform thousands of accurate Know Your Customer (KYC) checks on their global customers. So, what’s next? I asked people from different areas of the business what you, our community, could expect from Yoti over the next year. We’re en route to facilitating seamless travel at Heathrow airport. Joining forces with a global airline, we’ll be moving our internal trial to a terminal trial for international departures. We’re also making big moves in the finance and crypto world due to our partnerships with firms such as Electroneum, FunFair Technologies and Trilliant. Over the next six months, we’ll be gearing up to further enhance the user experience of the Yoti app. We want everyone to have a simple and fast way of proving their identity. The first half of 2019 will see us streamlining the app’s registration process and expanding the navigation so that the most valuable features are easier to access. We’re also busy adding functionality under the hood to ensure we remain the world’s most flexible platform for proving identity. Plus, we’re working hard to boost the utility of the Yoti app, enabling sectors, businesses and consumers to get the most out of it. We’re preparing to refresh our web-based products so that they visually align with the app’s new branding. These include Yoti Dashboard, Yoti Sign, the website itself, and much more. We’ve invested a great deal of time to enable individuals to add their ID documents to Yoti. Yoti now accepts passports from over 160 countries, driving licences from 40 countries, including all 50 US States, and over 30 national identity cards. Recently, we completed work to check US driving licences against the AAMVA (US DL database) and we will start accepting US State ID Cards before Christmas. We’re already gaining global traction in multiple sectors such as fintech, retail and age verification, but we’ll soon be actively ramping up our marketing and PR efforts all over the world. We’re also delighted to share that we’ll be expanding our Bangalore office in India, offering Indians the chance to scan their Aadhaar QR code to add their personal details. To meet Indian regulations, we’ll be setting up a security centre in Bangalore to support our growth. A product you may not have heard of is the printable Yoti QR code. We’re testing this with large retailers and local convenience stores, and it’s proving to have global utility. In the next few months we’ll be launching an offline version of our forthcoming Yoti Key product. This is an identity tool designed specifically for humanitarian use in developing countries. We discovered a strong need for the Yoti Key as a means of proving identity when, without connectivity, there is no other way. It will change lives for the better. Some of its uses include enabling refugees to access services in refugee camps, allowing hospitals to track patient interactions during health programmes, and aiding better dealings between micro-finance institutions, their lenders and borrowers. We’re excited to see the positive impact it has in the developing world. We pride ourselves on being privacy-friendly. So, any products we create in the next year will be developed with privacy at their core. We’re already proving that building a digital ID with security and privacy at the forefront can be done - and that won’t change. Our principles and focus on protecting individuals’ privacy also mean we must go above and beyond mere legal compliance when we develop new and innovative products, and show transparency throughout our supply chain. Data and cyber responsibility are crucial for Yoti. Holding true to our principles and with support from the Yoti Guardians in the next six to twelve months, we’ll be putting our all into getting ethics right for R&D, machine learning and AI. As we train our software, we’ll be striving to ensure that our data sets become representative of the population and free from bias. We want Yoti to be recognised as a way for people to prove their age when buying age restricted goods, or when practicing their right to work or right to rent. So, the Legal, Data Protection and Regulatory teams are working closely with regulators in our key markets to drive Yoti acceptance. The UK regulations have been proving challenging - however the Home Office is seeking to adopt similar technology that enables 3.5 million EU citizens to prove their right to remain in the UK post-Brexit. So, we’re hopeful that with encouragement from retail and the Digital Economy Act, they will also embrace the digital approach as a means of age proofing and verifying identity throughout the UK. As you can see, we’ve been very busy and remain strongly committed to continue making people’s lives easier and offer the world a faster, more secure way of proving identity. But for now, let the anniversary celebrations commence!